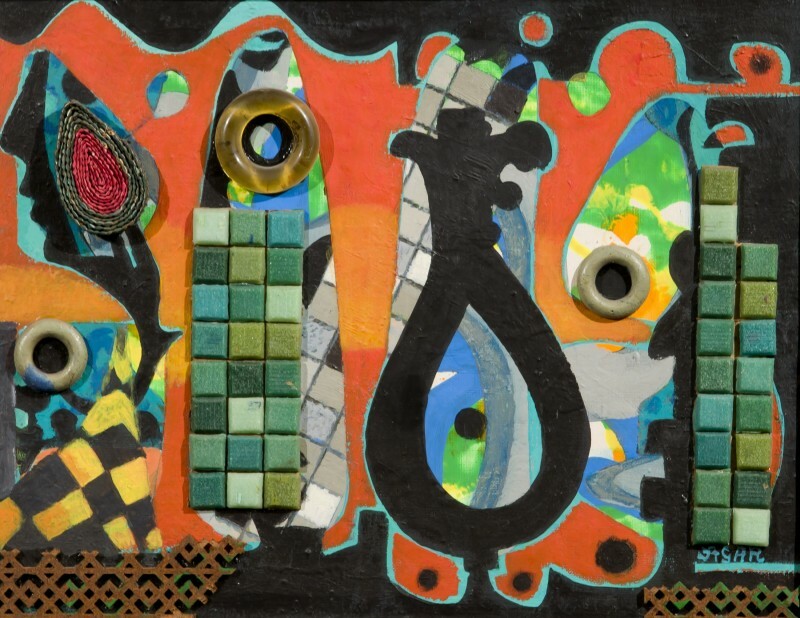 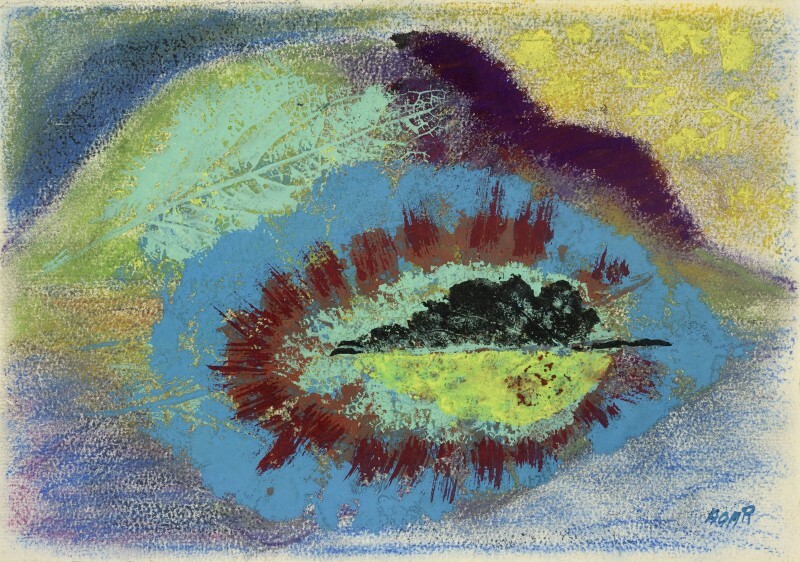 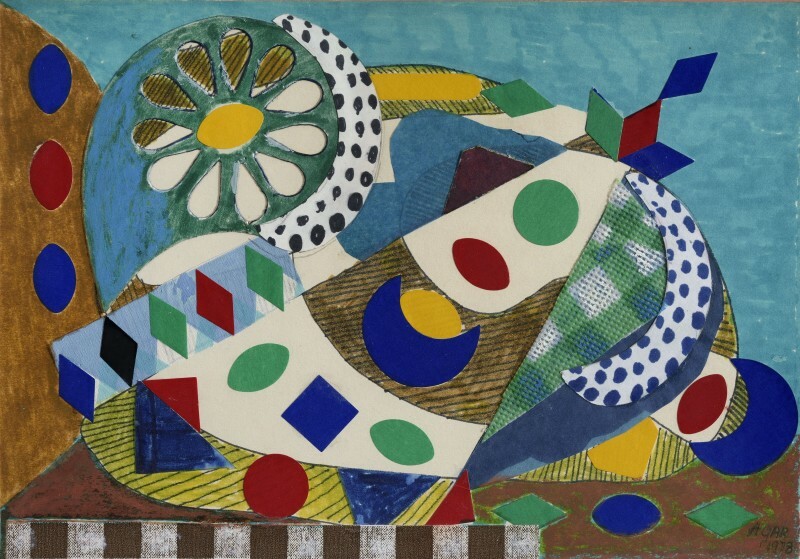 Eileen Agar RA was born in Buenos Aires, Argentina, in 1899, but moved to England in 1906. 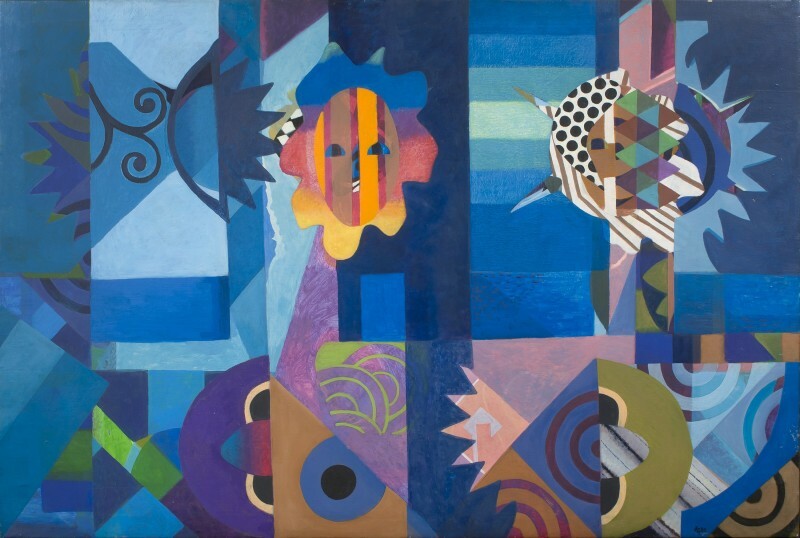 She studied under Leon Underwood, at his Brook Green School of Art, and then at the Slade School of Fine Art. 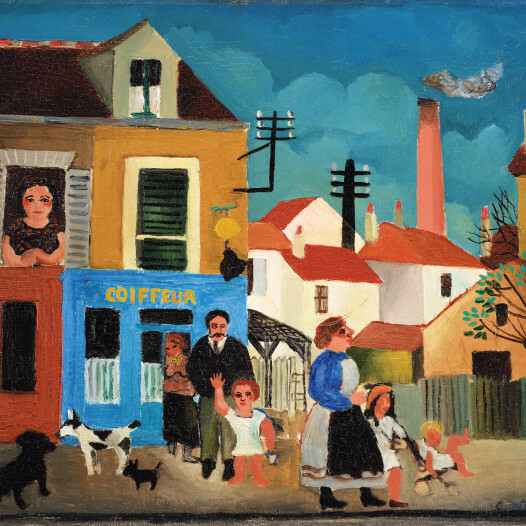 She lived in Paris from 1928 to 1930, with the Hungarian writer Joseph Bard, and also befriended Paul Éluard, Ezra Pound and André Breton. 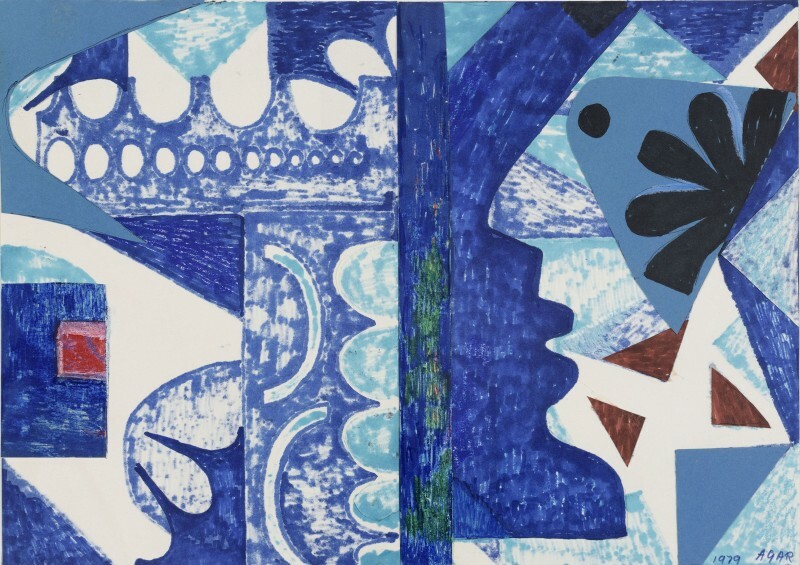 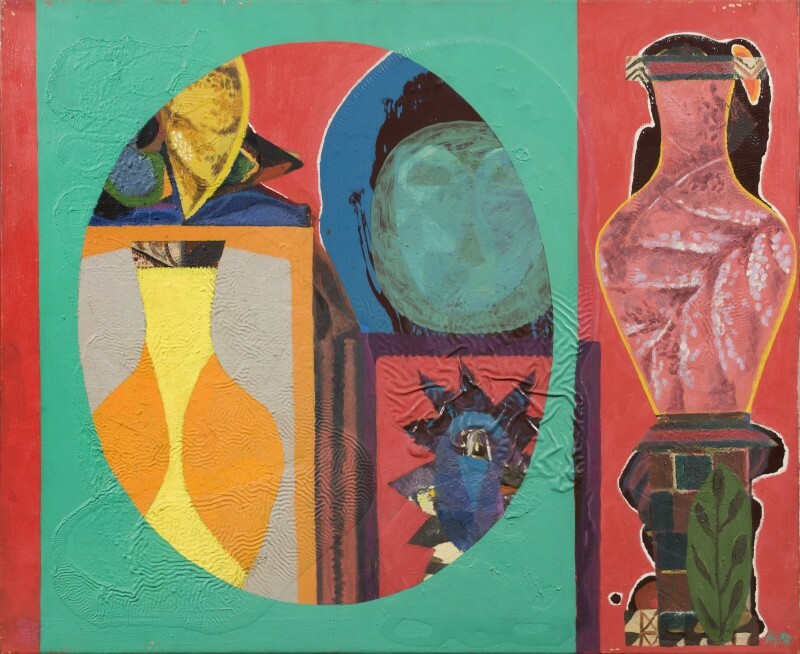 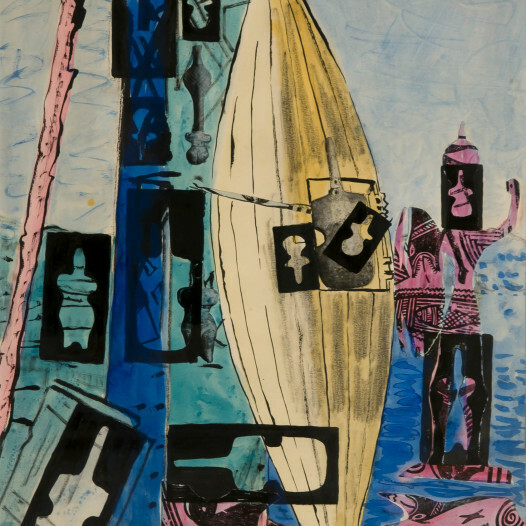 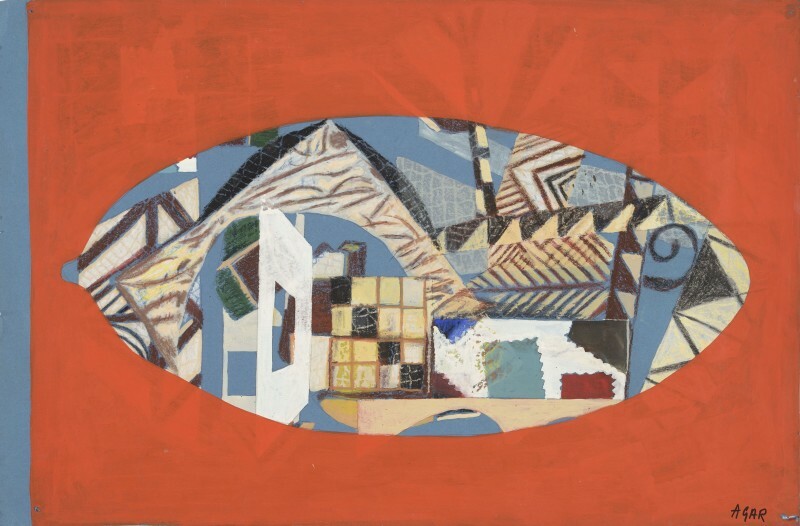 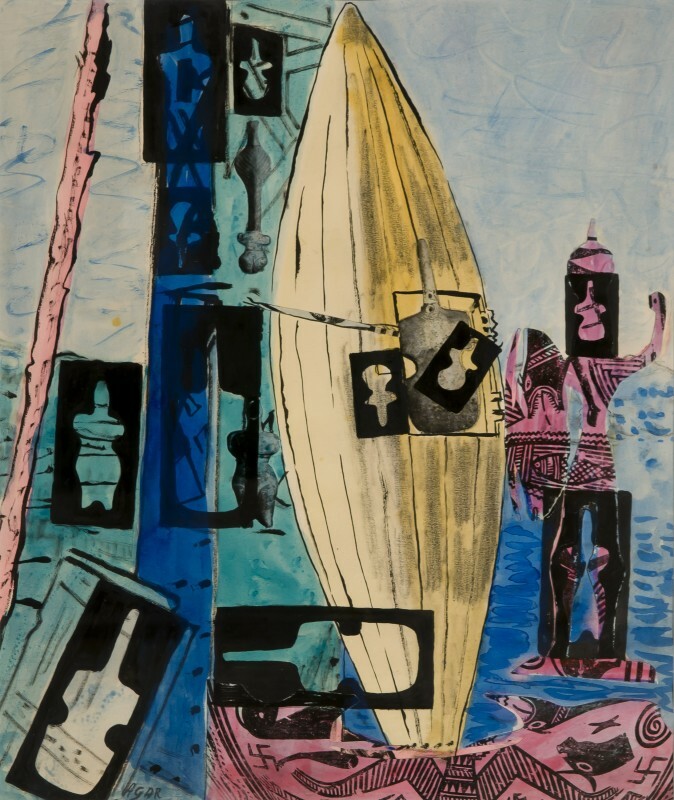 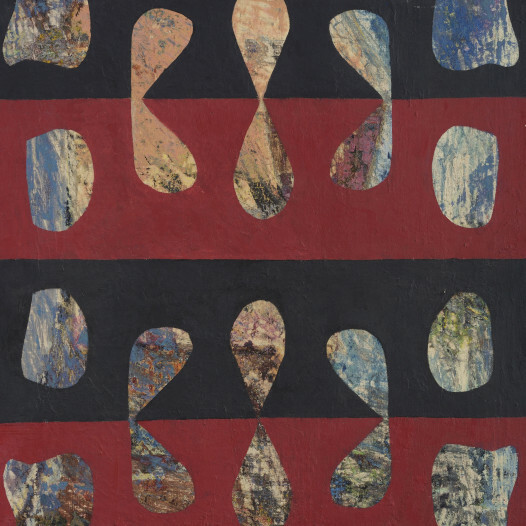 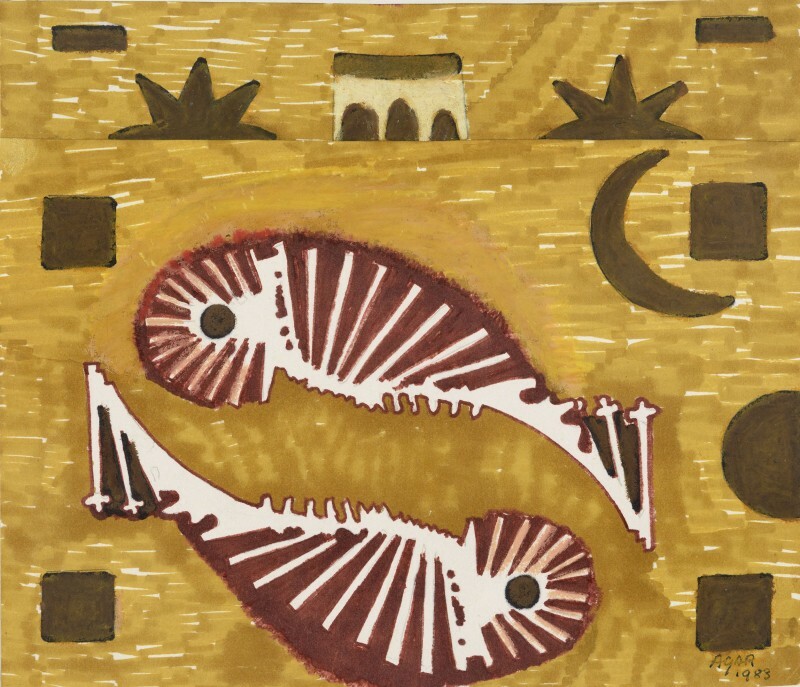 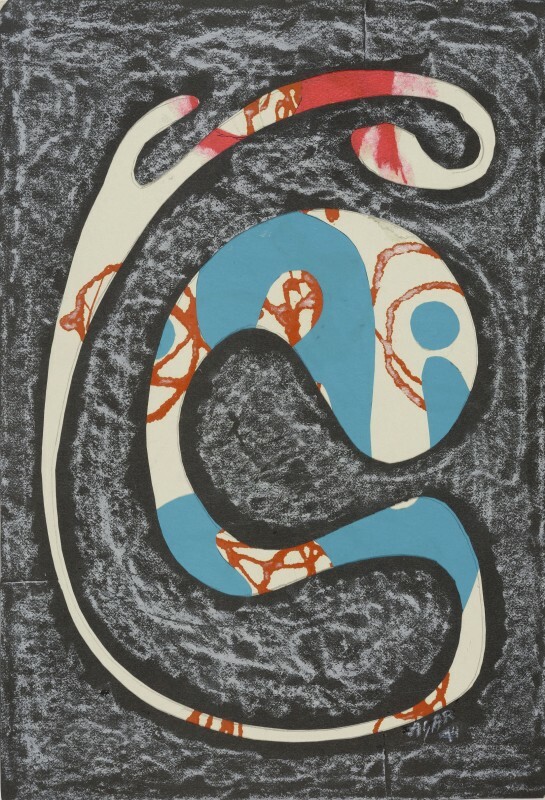 In 1933, Agar was given her first solo show at London’s Bloomsbury Gallery, and at the suggestion of Henry Moore, joined The London Group, with whom she exhibited her first collages. 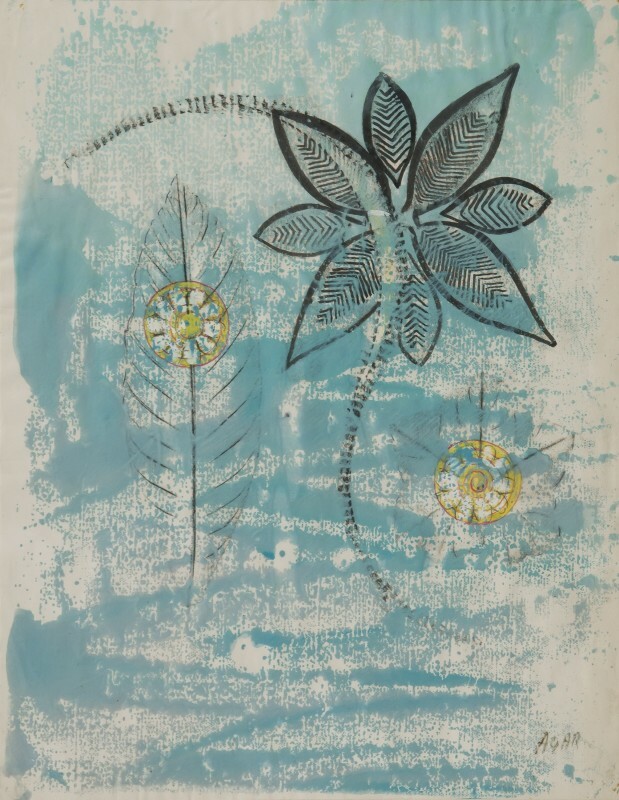 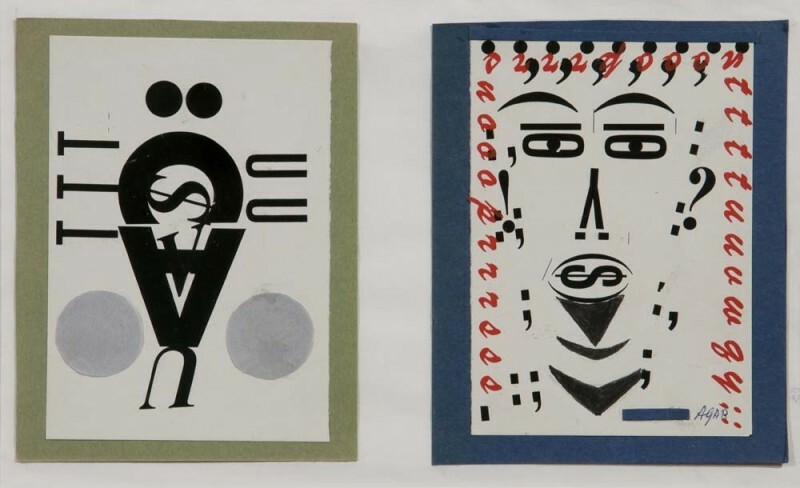 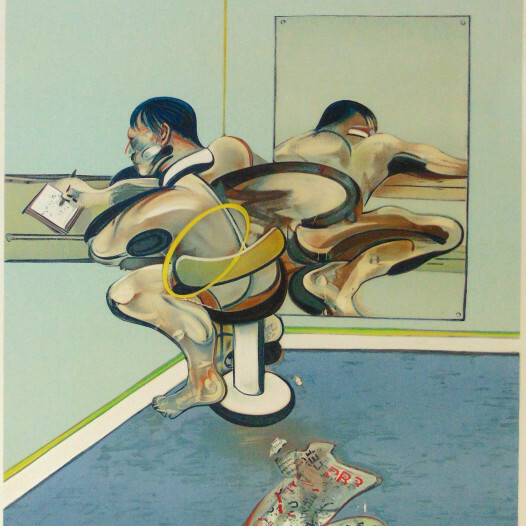 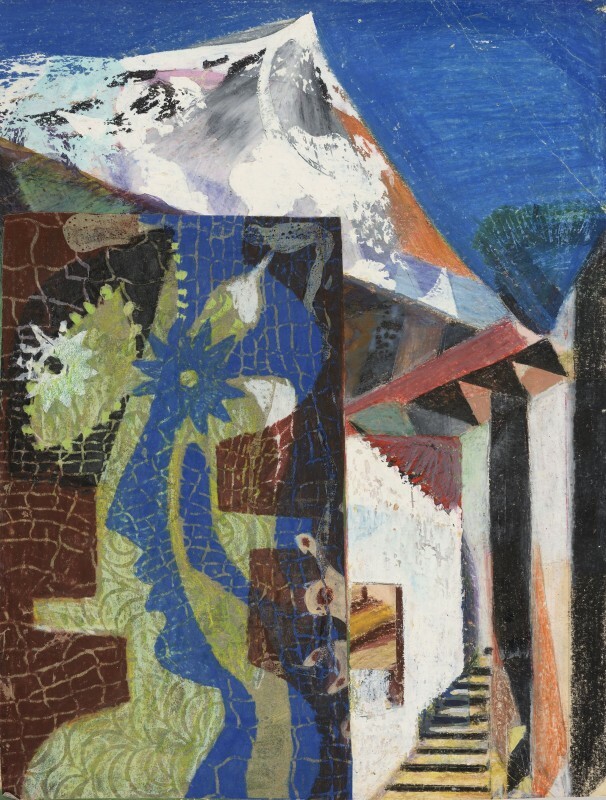 She exchanged several of these collages with her sometime lover, Paul Nash. 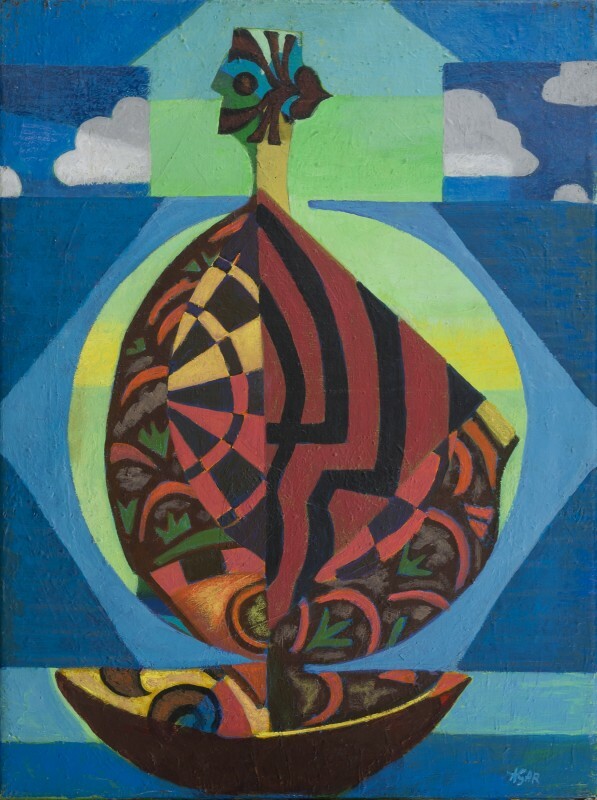 The 1930s saw Agar's work become more Surrealist, and in 1936, Herbert Read and Roland Penrose visited Agar in her studio to request that she participate in the International Surrealist Exhibition at the New Burlington Galleries, a seminal show that launched Surrealism in Britain. 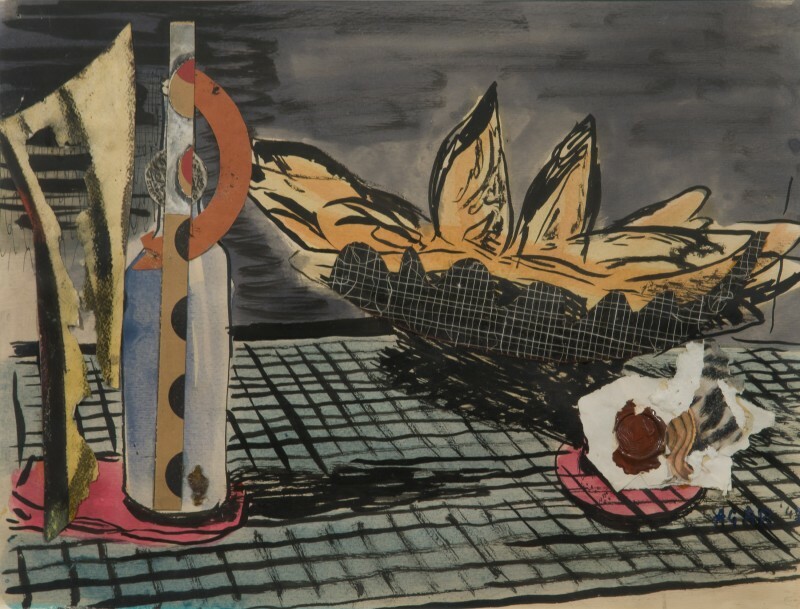 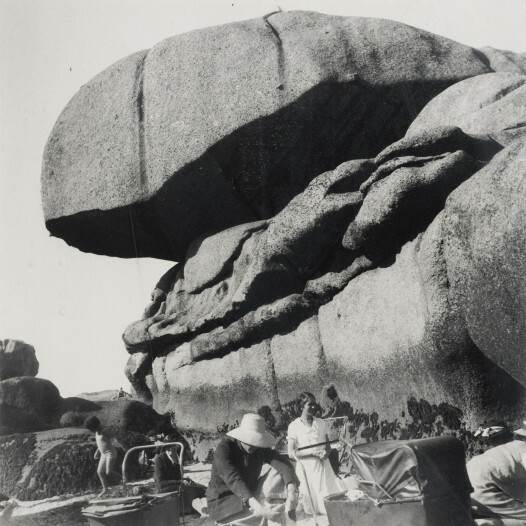 In 1937, Agar holidayed with Leonora Carrington, Man Ray, Henry Moore and others in Cornwall, and then at Mougins, with Picasso, Roland Penrose, Lee Miller and Paul Nash, who introduced her to the found object. 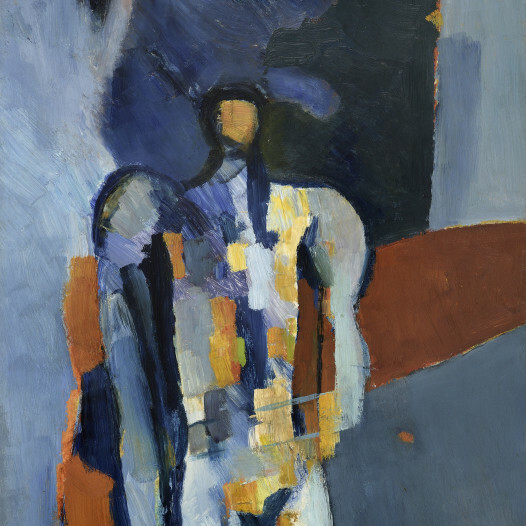 In this period, Agar experimented with new ways of working, taking a vast quantity of photographs and producing objects such as The Angel of Anarchy, which was later acquired by the Tate. 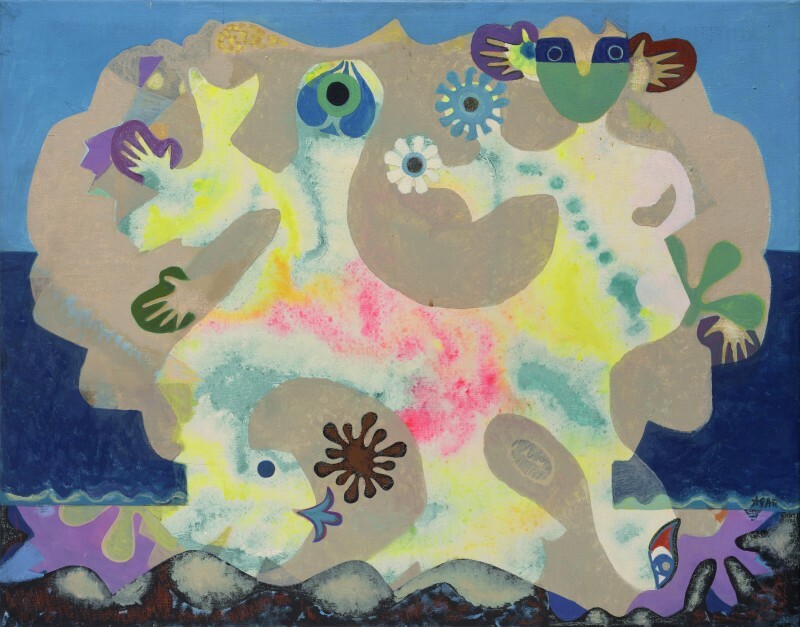 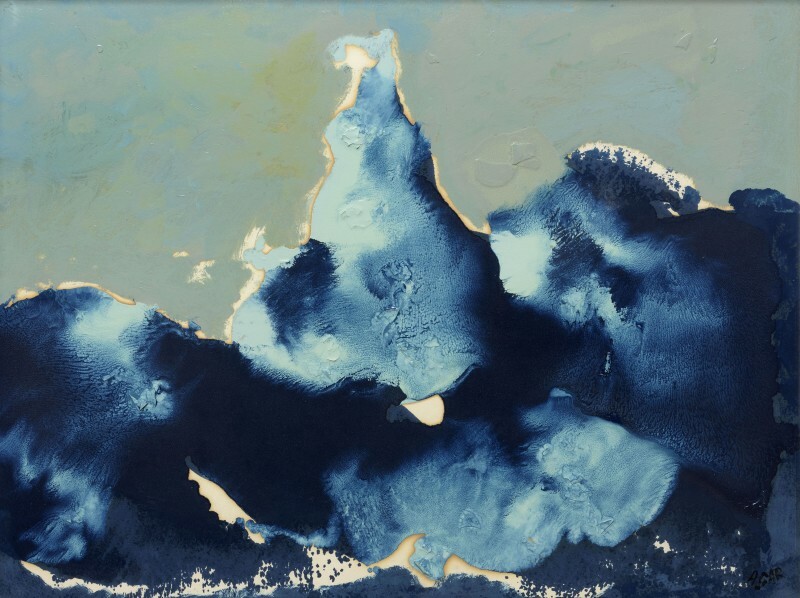 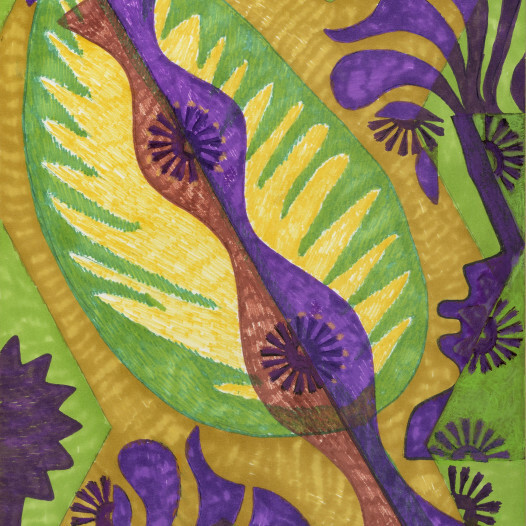 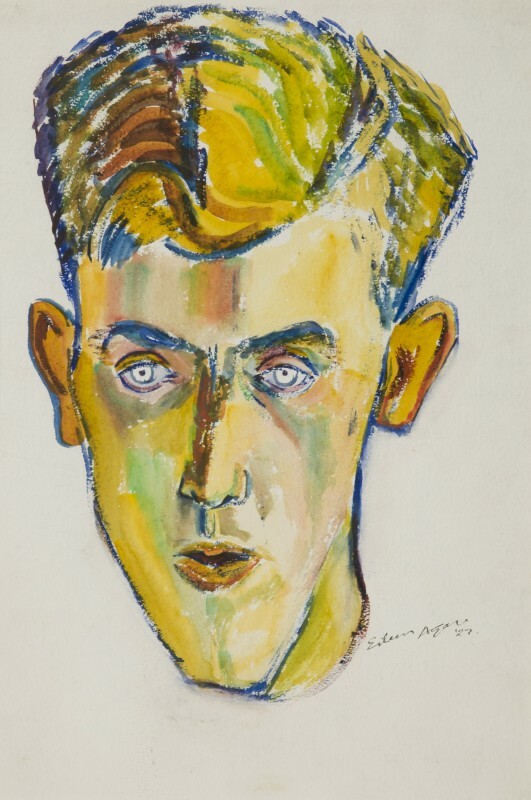 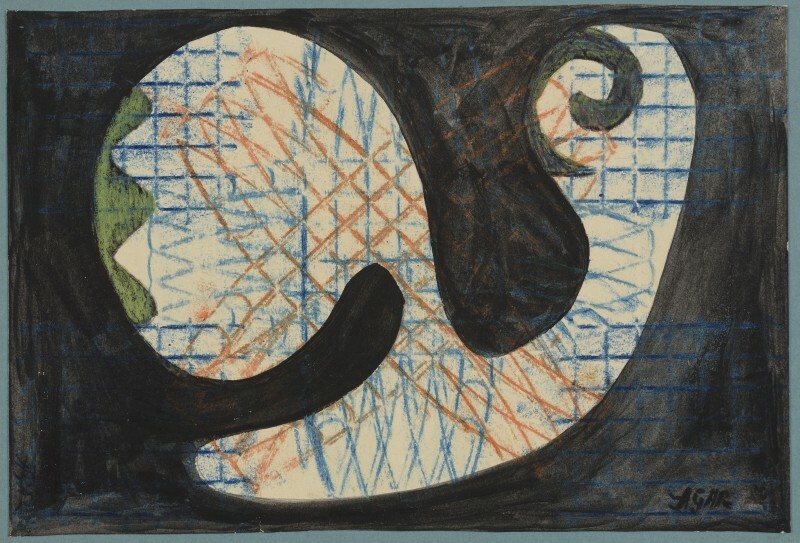 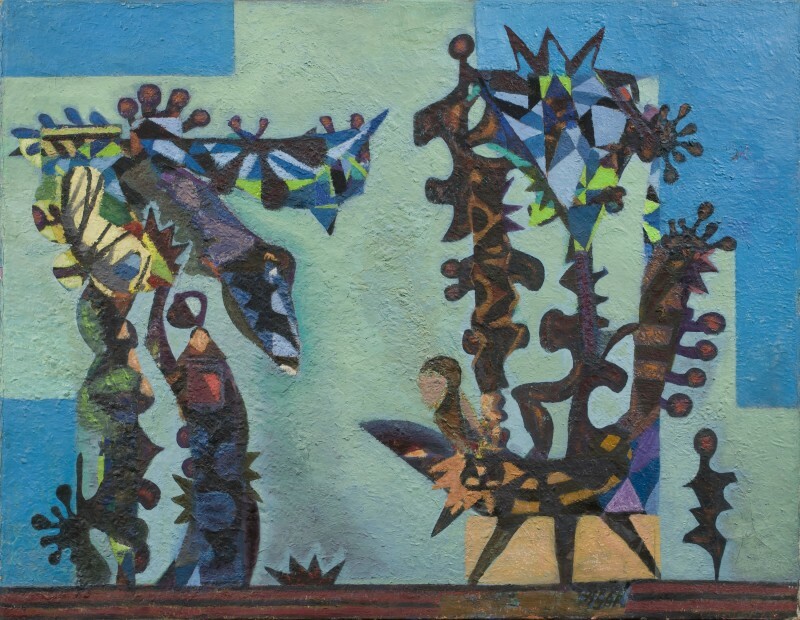 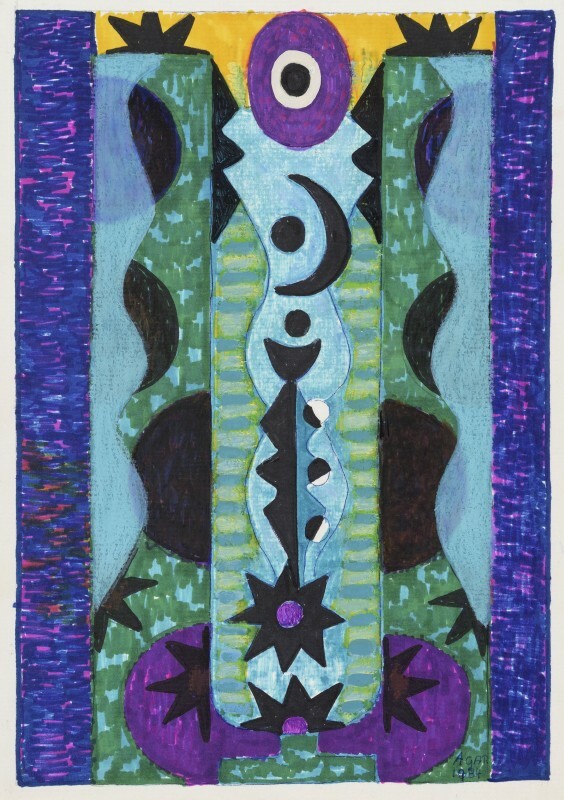 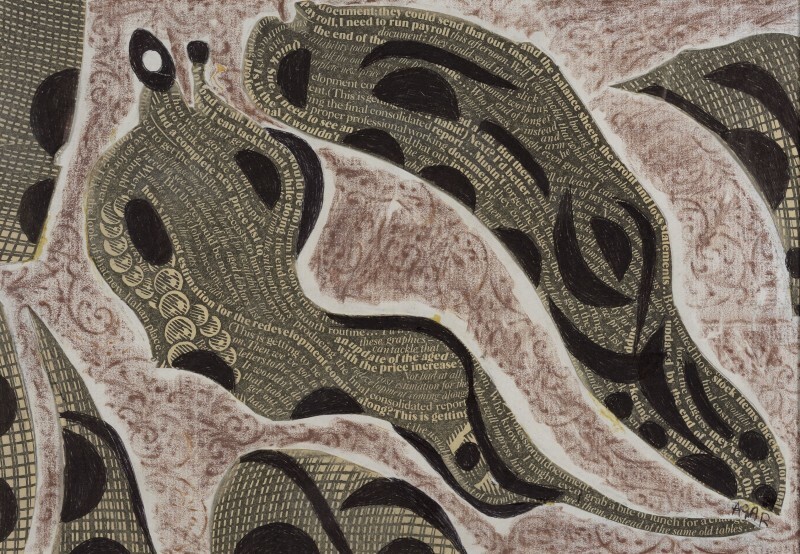 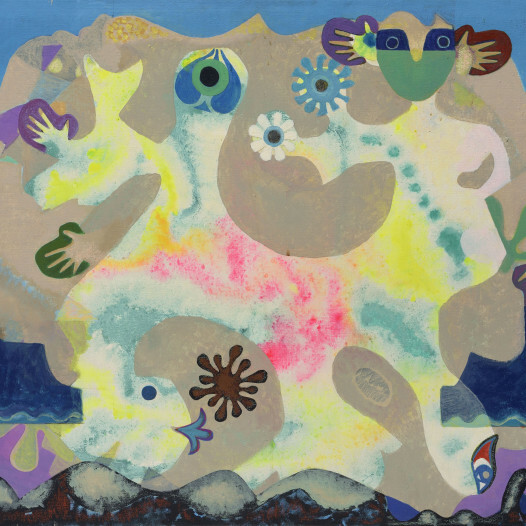 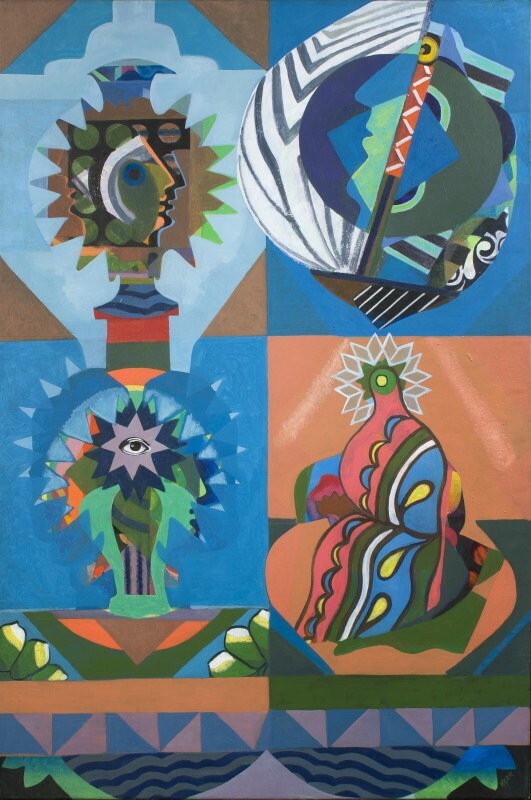 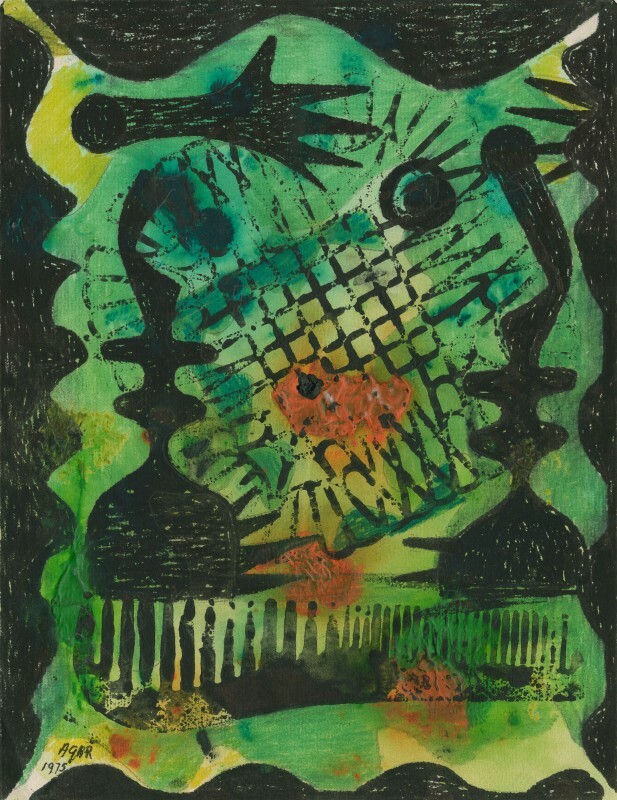 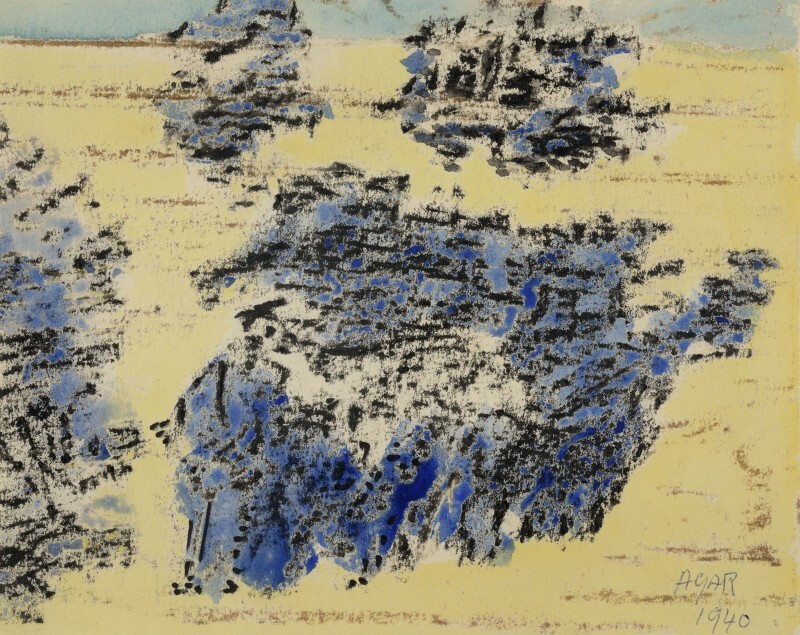 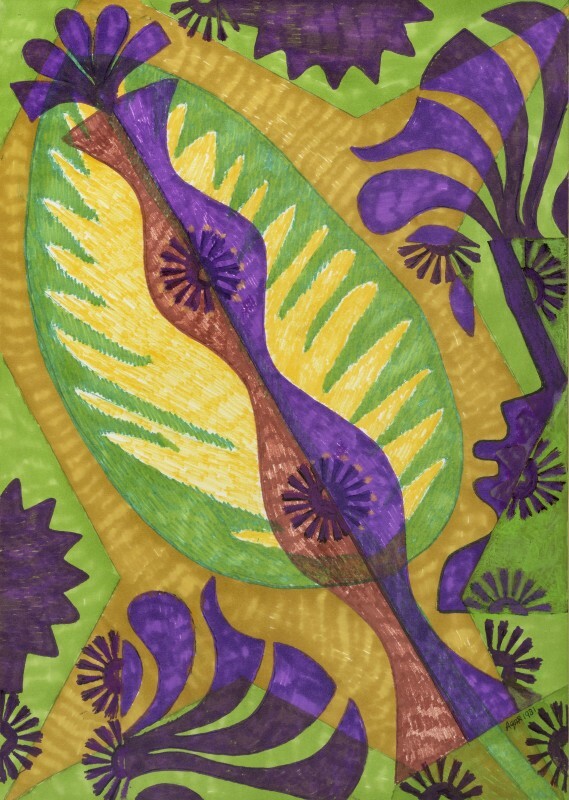 During wartime, Agar continued to work: she featured in Surrealism Today at the Zwemmer Gallery in 1940, and had a solo show at the Redfern Gallery in 1942. 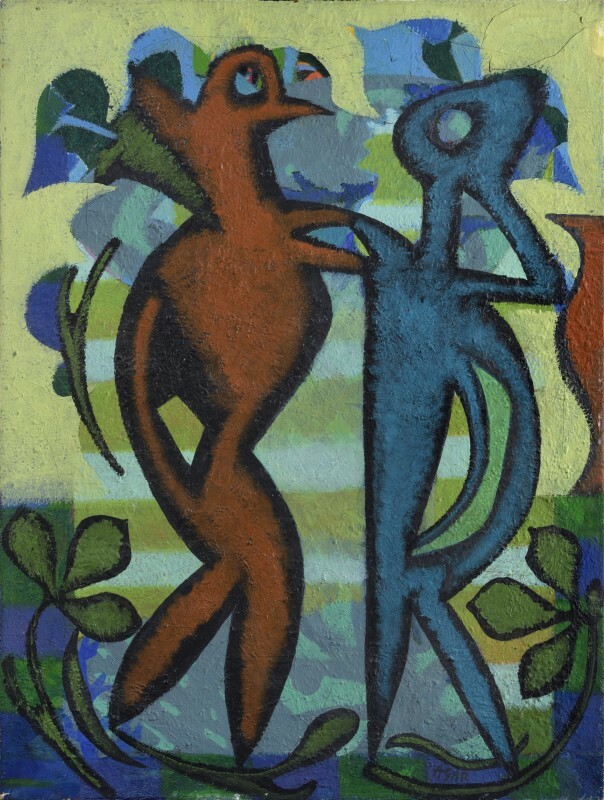 She was the subject of a poem by ELT Messens, published in 1944. 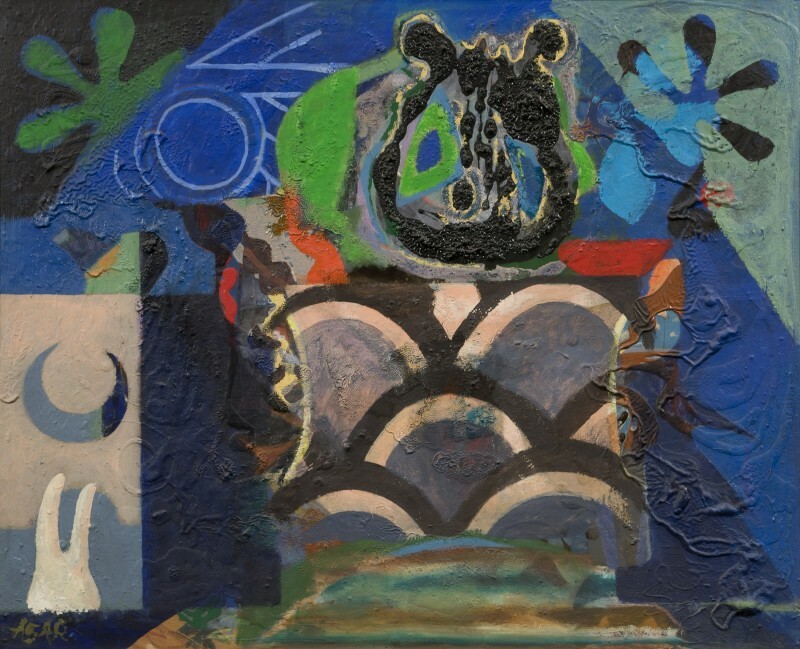 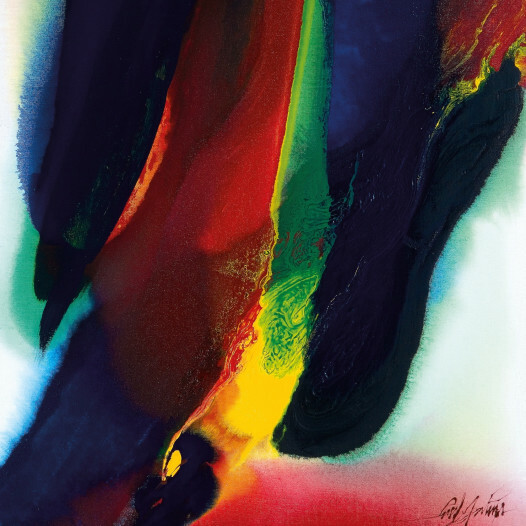 Upon discovering acrylic in 1965, Agar set about creating large-scale Surrealist canvas paintings, in preparation for a retrospective at the Commonwealth Institute, London. 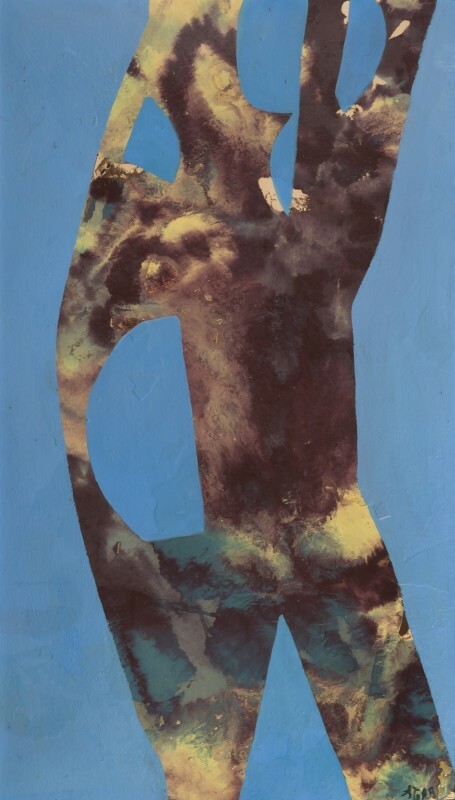 She published an autobiography in 1988, and was elected to the Royal Academy in 1990. 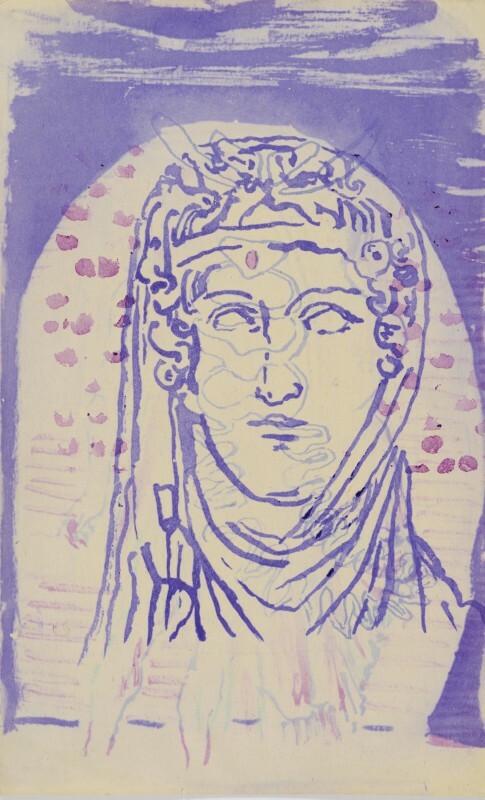 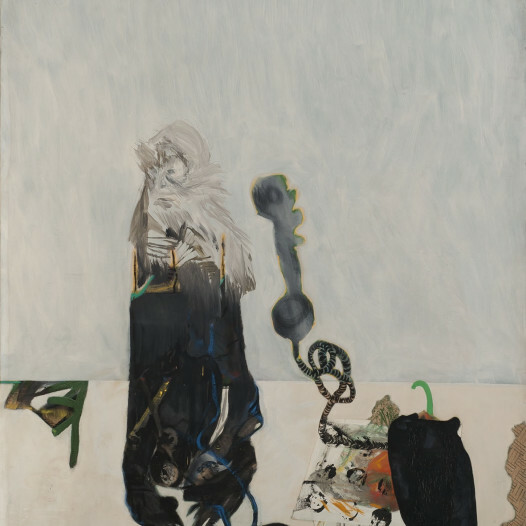 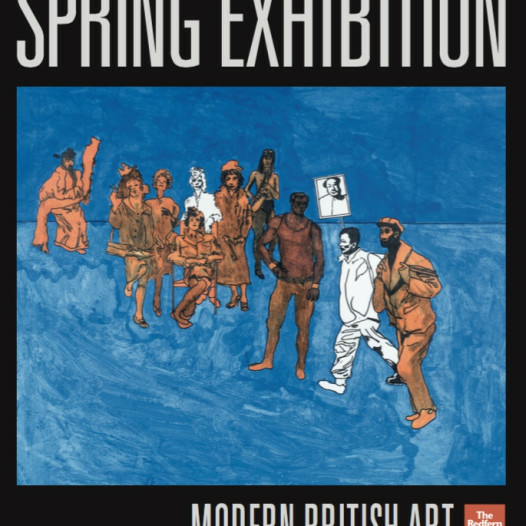 She was the subject of a retrospective at the Scottish National Gallery of Modern Art in 1999, and more recently at Pallant House Gallery, Chichester, and Jerwood Gallery, Hastings, respectively. 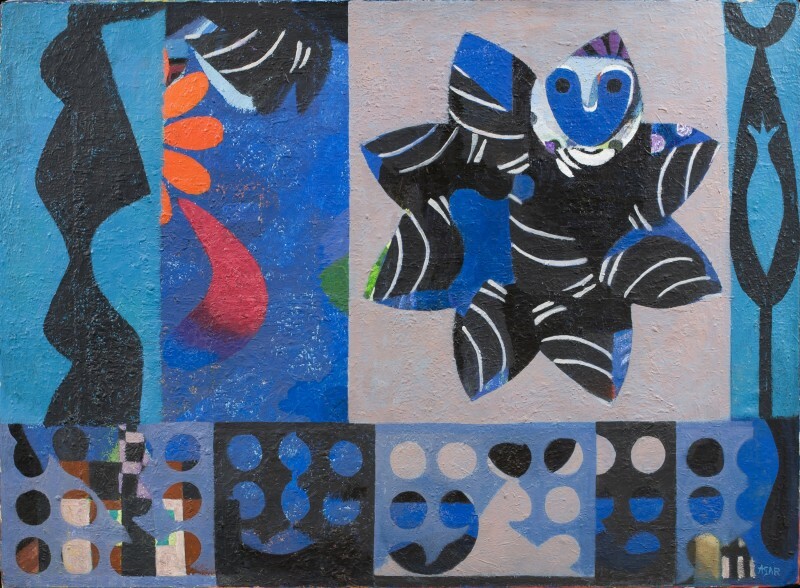 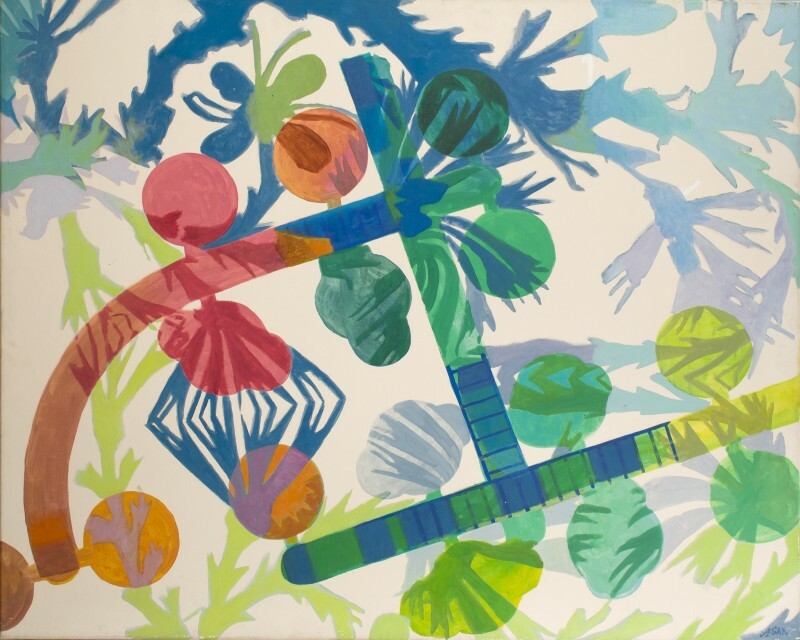 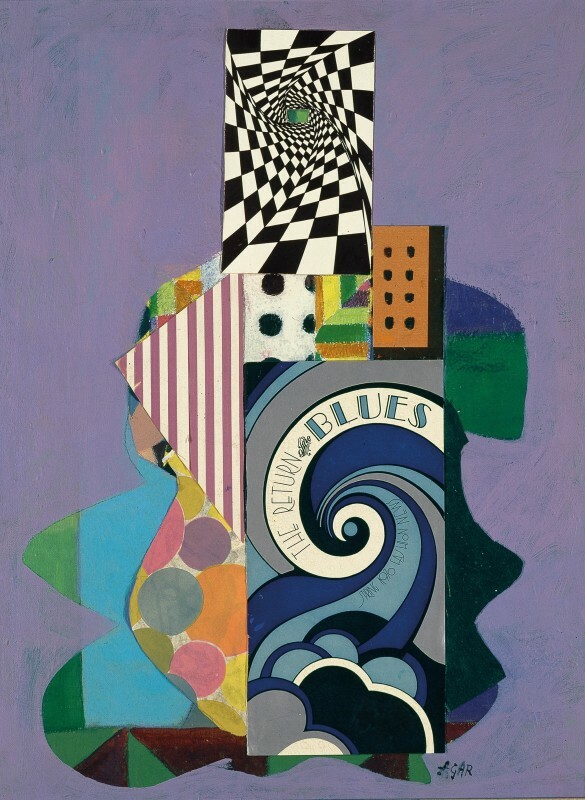 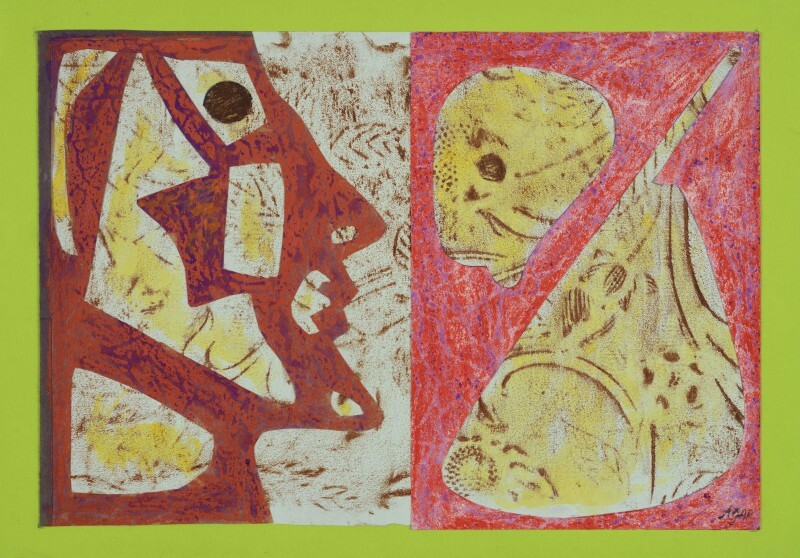 The Redfern Gallery represents the Eileen Agar Estate. 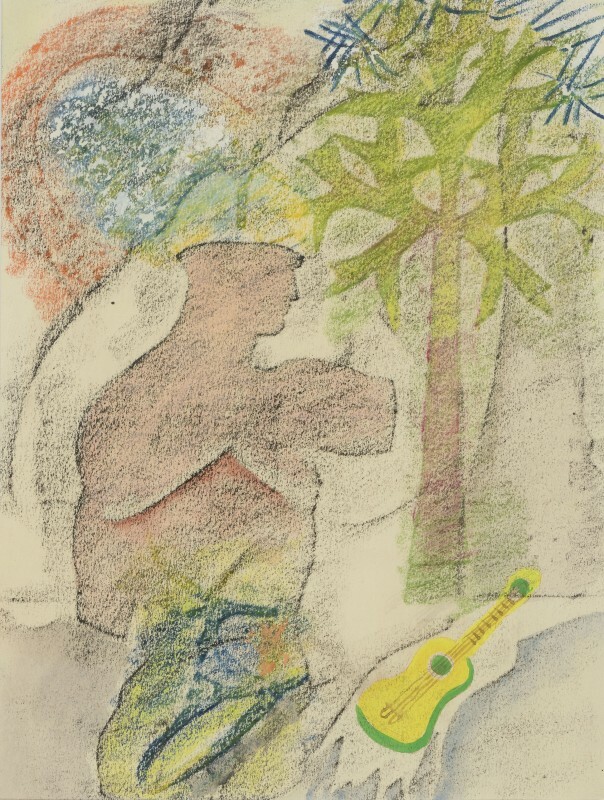 Signed lower right; titled and dated verso.